Found one file extension association related to PasswordTools and 1 file format developed specifically for use with PasswordTools. 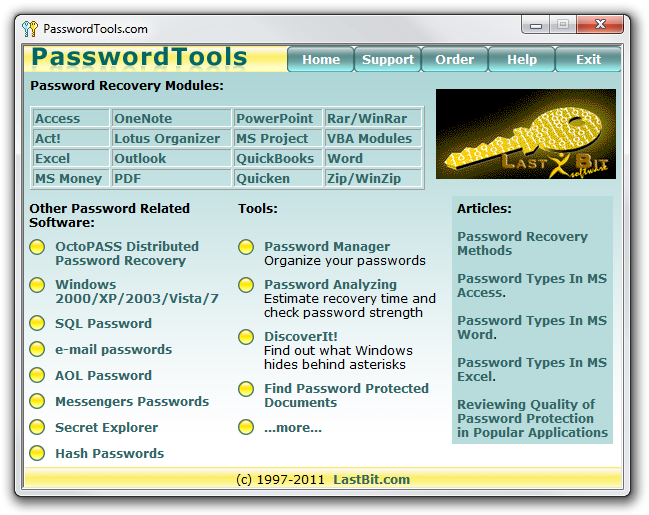 PasswordTools is a set of password recovery utilities that are able to recovery passwords for Word documents, Excel spreadsheets, Access databases, Powerpoint presentations, WinRAR archives, Zip archives etc. If you need more information please contact the developers of PasswordTools (LastBit Corp.), or check out their product website.